There is a great TED talk by Steven Johnson titled “Where Good Ideas Come From.” Steven shares the importance of coffeehouses and how many innovations we recognize that took shape through discussions in coffeehouses. Interestingly, I met today’s guest, Larry Marine, at a coffee shop. I heard him discussing product design and started talking with him about the innovation research I was doing at the time. 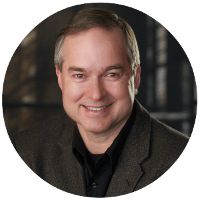 We later co-authored chapter 5 in the PDMA Toolbook 3 titled “Integrating User Observations with Business Objectives to Drive Product Design.” Larry is a User Experience expert that has helped many companies improve their products as well as design new products. What was your path to working in UX? 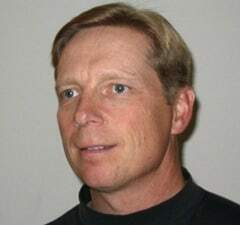 Larry discovered Don Norman’s new Cognitive Science program at UC San Diego after serving as a computer tech in the US Navy. Norman is known as the father of usability and user experience. Larry was in the first graduating class of cognitive psychologists. What is the essence of UX work? Fundamentally, it is seeking to understand how users will react to specific stimuli in a given context. For example, identifying how a user will respond to a user interface. Our goal is to create the right experience for the context. A classic example is door handles – instead of expecting users to push on a handle to open a door inwards, give them a flat panel which can only be pushed. Can you share examples of a project where UX changes took an average product and made it a great product? For a software example, Larry redesigned the user experience of ProFlowers– the website for selecting and ordering flowers. The design was different than all the other online florists at the time. The web developers actually didn’t implement the design because it didn’t “look” like the competitors. The ProFlowers leadership team had the developers implement the new design. Their sales surged and ProFlowers.com has been one of the top performing websites for conversions. The other example is a medical device that performed blood screenings. Users were complaining about its use and Larry was asked to redesign the user interface. After investigating how the machine was used in a laboratory, the actual problem was with the lack of integration between five machines. It was a manual process to move from one machine to the next, data had to be reentered, and blood samples could be mixed up. The solution was a new screening control system for the entire laboratory. When you make an impact like that, where do you start? By stepping back from the problem, we always find a larger unmet need. We start with an audit to understand who are the users, what problem they are trying to solve, and their objectives. For ProFlowers, the way online florists at the time were selling flowers did not match the problem customers had. Websites asked customers to build a bouquet instead of solving the actual problem, which was buying flowers for a special occasion. In the redesign, the customer is first asked what occasion they are buying flowers for (birthday, anniversary, Mother’s Day, etc) and then they are shown bouquets in various price groups and color options. Walk us through the steps of conducting an audit. It begins by identifying who the users are and then understanding what problem they need solved. We need to understand what the users currently know and what they need to know to succeed in the tasks that solves the problem. This is a deeper level of information than businesses typically know about customers. UX is a two-part process. The first part is defining the problem from the user’s perspective in identifying the specific points of pain. You don’t want to end up solving the wrong problem well. This requires understanding your business objectives as well as the user’s objectives. The second part is determining how the user will recognize a proper solution to the problem. The best research tool for UX is user observation – ethnographic research — going out and watching people and looking for what is common between them as they try to solve the problem. This helps you understand what users currently know and what they don’t know to succeed in solving their problem. This can be accomplished well by observing as few as five users. With these insights, conduct a task analysis by constructing a task flow that represents what the users do. With these pieces, then a solution can be designed. A prioritization matrix is used to focus on the elements that are most important to the user, important to the business, and technically feasible. Thank you for being an Everyday Innovator and learning with me from the successes and failures of product innovators, managers, and developers. If you enjoyed the discussion, help out a fellow product manager by sharing it using the social media buttons you see below. We help product managers become product masters - influential drivers of product strategy - so they can consistently create products customers love without getting overwhelmed putting out fires. Learn about it in the Product Mastery Roadmap. 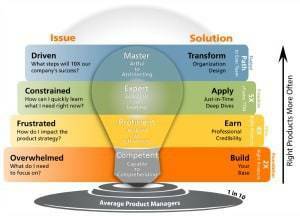 The primary responsibilities for an organization are product management and innovation. They deliver value to customers. They're also exciting responsibilities for those properly equipped. That is my job - equipping product managers and innovators. Too many interviews to review? Yep. 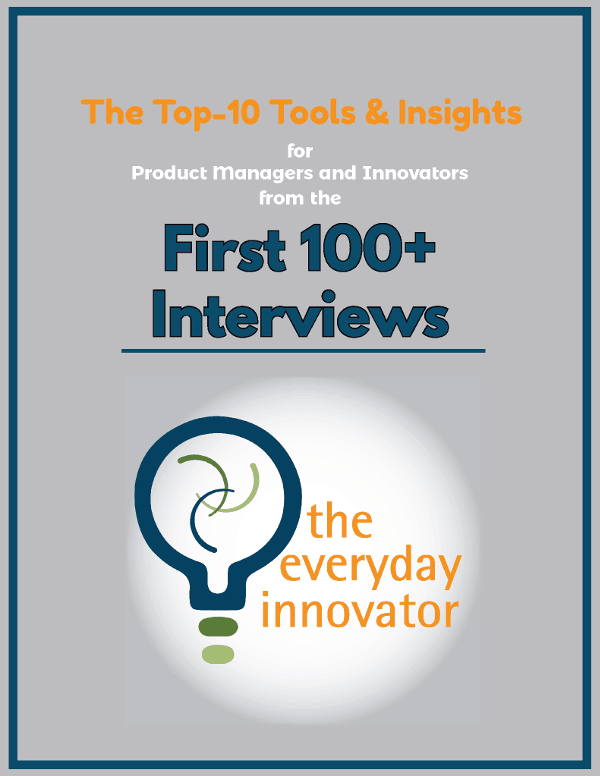 Get the Top-10 Tools & Insights from the first 100+ Interviews.